Is that slightly outdated package of meat in your fridge still good? The average human nose might not be able to accurately predict its freshness by smell alone, but modern technology can. That’s the claim behind PERES, a handheld smartphone accessory for your kitchen that sniffs meat to detect spoilage. Specifically, PERES measures four things: Temperature, humidity, ammonia, and volatile organic compounds (VOCs). It uses this data to detect whether meat is fresh and safe to eat. 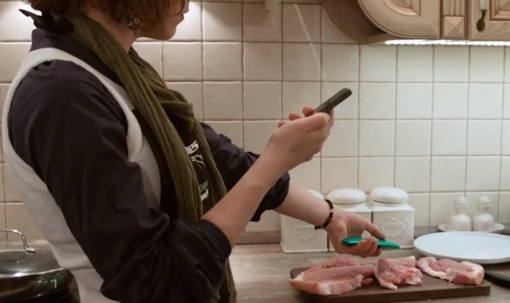 The device connects to your Android or iOS smartphone via Bluetooth, and works with most common types of meat – beef, poultry, pork and fish. PERES is being offered through crowd-funding site IndieGogo, where it has already surpassed its $50,000 goal. The device is scheduled to enter mass production in October 2014 with an expected retail price of $150. You can learn more about PERES by watching the promotional video below or visiting its IndieGogo page. For more cool kitchen tech, visit the Techlicious Kitchen page.